Download a pdf of the 2019 LA Di Tournament Program here. Both maps are oriented to the North, so they mesh with Elm Grove Middle School below Sun City Elementary. State Tournament pictures by Danny Milner. ​Last year's Destination Imagination State Tournament was a huge success thanks to the support of volunteer team managers who coached 75 DI teams, the Elm Grove MS and Sun City principals and staff, over 100 community volunteers, and over 30 high school volunteers who helped throughout the event. LA DI recognized and greatly appreciates Bossier Parish School District, the principals and staff of Elm Grove Middle School and Sun City Elementary, Haughton High School Red Jackets, and Parkway High School Beta Club members for supporting the event. Our high school volunteers were excellent examples of good citizenship and service throughout the event and were a credit to their schools. The tournament was dedicated to the memory of Emilie Gibson, a Legacy Elementary DI team member who bravely faced DIPG Brain Cancer last year. Emilie passed away on October 31, and the tournament focused not only on creativity and competition, but on helping to raise awareness and donations for childhood cancer research. Over $3,000 was raised and was matched by Louisiana Destination Imagination to donate over $6,000 to the Michael Mosier Foundation to support research into a cure for DIPG. Their website is www.defeatdipg.org. Ms. Sonja Bailes shared the tournament information with local media partners, and two news reporters came to the tournament. The news reports will help raise awareness for DIPG cancer research and the educational benefits of Destination Imagination. Here are links to two news clips by KSLA Reporter Christian Piekos and one by Zyneria Byrd from KTAL. 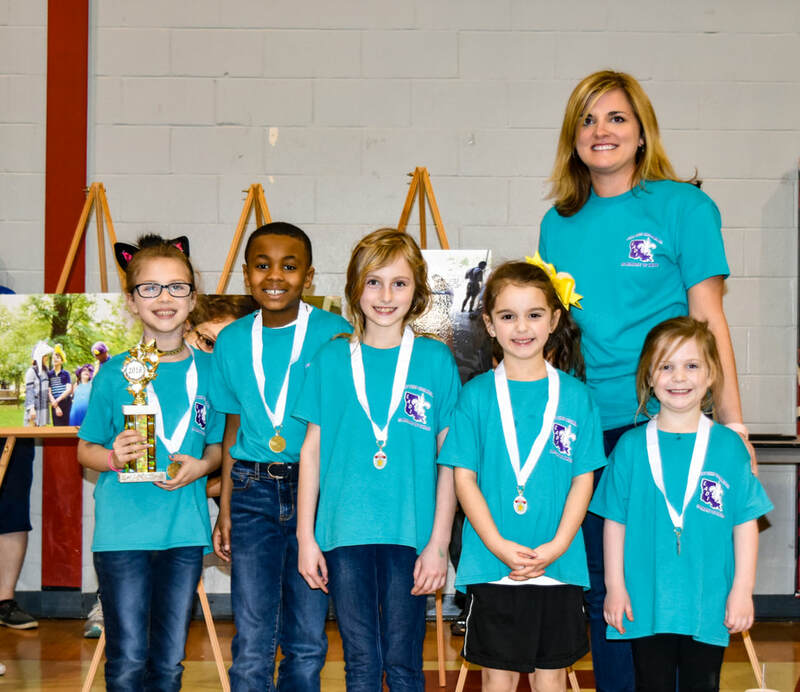 The first KSLA report includes interviews with Emilie's DI team manager, Eileen Jarman from Legacy Elementary, some of her Legacy school-mates, and interviews Trey Gibson, Emilie's father. The second KSLA clip features BPSB employee Robbie Gallant, a volunteer who teaches at Greenacres Middle School, who explains some of the positive educational benefits of the DI program. 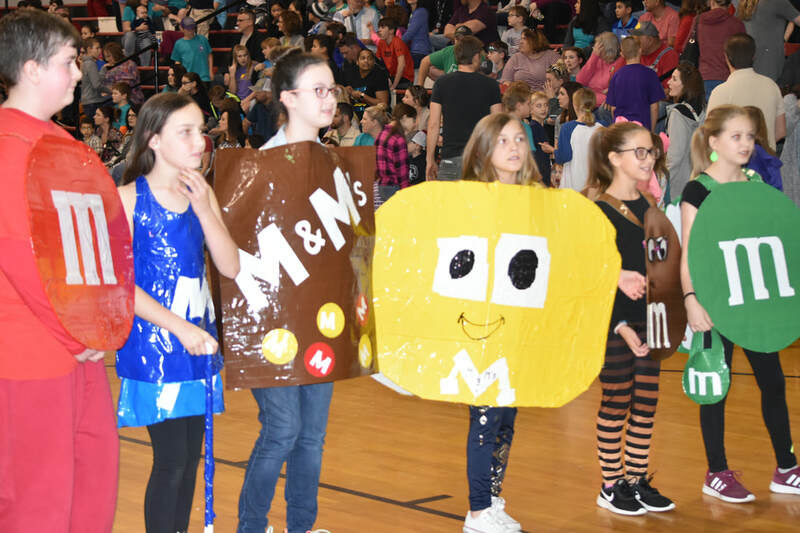 Thank you again to all our supporters state-wide for your interest and support of Destination Imagination and for all you do for your local kids. KSLA 10:00 PM news clip including interviews with Emilie's DI team manager, some of her school-mates and last year's team members, and an interview with Emilie's father, Trey Gibson. Interested in being a Team Manager for the 2018-2019 season? All Team Managers MUST attend one of the trainings we offer in the fall. If you missed our training sessions in the fall, we will need to schedule a training session with you before your teams can compete at State Tournament. Please contact our Affiliate Training Director, Ashley Johnston, at trainingLADI@gmail.com or our Affiliate Growth Directors (North LA: Linda Endicott-leclass@bellsouth.net; South LA: Kathrin McGregor-kmundinger@ebrschools.org) to set up a training session. ​We are looking for energetic, enthusiastic people to be a part of investing in the lives of the best and brightest kids that Louisiana has to offer. Click this link to volunteer for our annual Super Instant Challenge Saturday in Bossier City or our Louisiana State Tournament. Our volunteers make Destination Imagination a life-changing experience for kids all across the world! Sign up today! Thank You Super Sat Vols! Thanks to a strong volunteer presence setting up, running the challenge rooms, and doing the take down, LA DI kids had a tremendous time trying out all the instant challenges set up throughout Elm Grove Middle School for Super Saturday. All teams are encouraged to host a skills day by inviting local professionals to come teach basic painting, acting, sewing, building, and technical skills. Remember TMs, it is not interference to TEACH our kids practical life skills as long as you are not influencing their ideas for solutions to their challenges. Visit: https://www.dramanotebook.com/destination-imagination-tips-for-better-performances for, you guessed it, tips on dramatic performances! Read the latest and post some team pictures! E-mail Joan Turek at joanturek@gmail.com to find out more. DI is an educational program where student teams solve open-ended Challenges and present their solutions at tournaments. DI is a challenge and process-based program. In working to solve Challenges, teams learn important life skills like time management, collaboration, conflict resolution, and creative & critical thinking. Our program takes place across 48 states and more than 30 countries and provinces including Canada, Turkey, Korea, Guatemala, Poland, China, India, Great Britain, Brazil and Singapore.